Ivictory scores an emphatic Group One win at his debut against pattern company. A star was born in today’s HK$16 million Chairman’s Sprint Prize as the John Size-trained Ivictory defied a hefty rise in class and two outstanding stablemates to claim the 1200m Group 1 in a rare stable first three in this level of race. 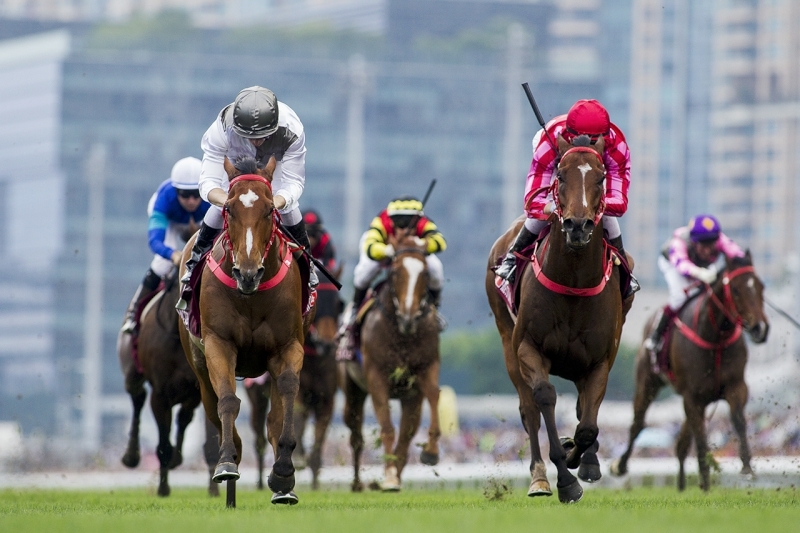 Hong Kong’s reigning champion trainer Size had not only the quantity, with five runners, but also the quality with the last-start Class 2 course record-setting winner beating Hong Kong Sprint winner Mr Stunning and the Sprint Cup winner Beat The Clock by a half-length and a neck respectively. Jockey Zac Purton followed his earlier success on Beauty Generation in the Champions Mile with yet another major race win, having secured the mount on Ivictory after rival Joao Moreira opted to ride Beat The Clock. Moreira had ridden the winner at his past four starts but had never deserted Beat The Clock. Not that victory was considered fait accompli, with both Size and Purton acknowledging the task he faced. Purton said: “Obviously he’d shown in his two previous wins that he might be something special but until you see them cope with the pressure at this level, you never really know. “It’s a big jump actually, from a Class 2,” Size said in his matter-of-fact style. “I’m thrilled and relieved to see the first three favourites in the finish. Ivictory had given us all the signs. He’d won six of seven before today and his past two were emphatic including a track record time at the (Happy) Valley but there was still the possibility it might be one run too early for him. Ivictory takes the G1 Chairman’s Sprint Prize at Sha Tin today. 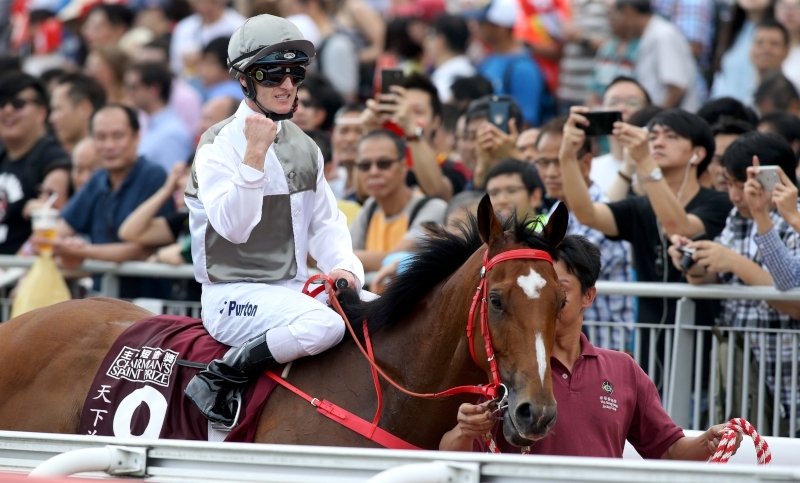 Purton, who had not before won any of the Champions Day Group 1s, acknowledged his good fortune in securing the ride. “I was fortunate to get on him and at the right time and then the race set up well for him, taking the trail behind the two leaders. He was quick and strong as two good horses set after him,” he said. Sam Clipperton, who rode Mr Stunning, spoke for most when he said, “My horse was just beaten by a better one on the day”. Earlier this season, Size also trifectaed the Centenary Sprint Cup - now of Group 1 status - when D B Pin beat Mr Stunning and Beat The Clock, who dead-heated for second. Thus, with today’s trio plus a convalescing D B Pin and Hot King Prawn, who was outstanding in defeat today, Size has an embarrassment of sprinting riches. Zac Purton was ecstatic after steering Ivictory to his win.